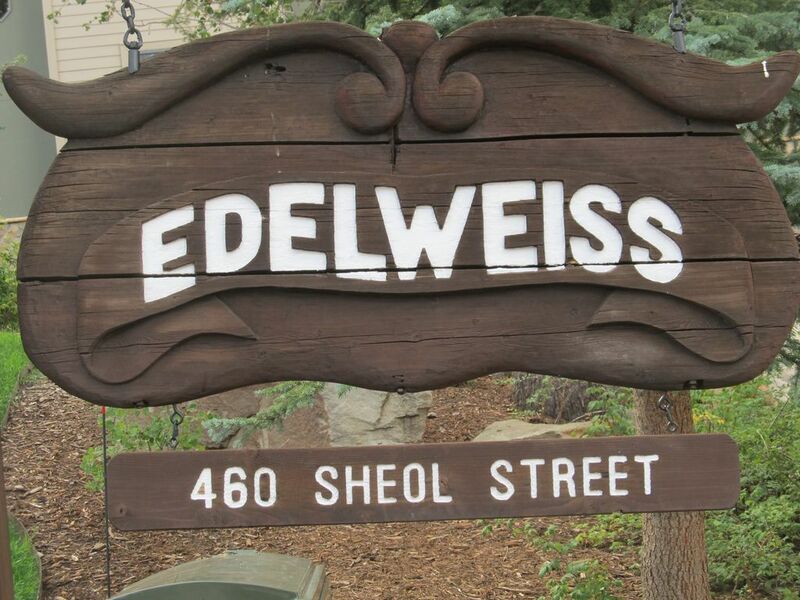 This is one of the 12 Edelweiss condominiums on the slopes and is one of the best locations at the Purgatory Resort. The slope is really right outside your back door. You can literally put your skis/shoes on and go! We are directly on the slope of Lower Hades and Yellow Brick Road. During Winter you will enjoy skiing, snowboarding, snowmobiling, tubing, sledding, sightseeing, and so much more! Put your skis on right on your back porch! Take a break for lunch without having to hike back to your condo or get in a car. After the slopes close for the day, the slope turns into a perfect tubing/sledding hill! There is plenty to do for the non-skier as well! You can enjoy snowmobiling, sledding, tubing and much more! The town of Durango is just a short drive, where you can enjoy fine dining, art galleries, and shopping! The Summer and Fall Months are also a great time to visit. You can enjoy the scenic lift ride, mountain biking, the alpine slide, the climbing wall, miniature golf, the bungee trampoline, rafting, hiking, fly fishing, nature tours, horseback riding and so much more. There is a Summer Adventure Camp for kids. The Mesa Verde Indian Ruins are just a short drive away. There are too many activities to name them all! The whole family will enjoy a vacation to Durango Mountain Resort - And our vacation home is the perfect place to stay! Absolutely loved the condo. We had 12 people and if fit us just fine. It was so nice to be able to put our skis on as we were ready and hit the slopes. People also were able to come back whenever they need a break. Comfortable beds, nice tvs. There were also plenty of pots and pans for cooking. Rich also sent me an email giving me a heads up about discount tickets. What an awesome manager! Rich is great to work with. If you get the chance to stay here you will not be disappointed. 8 to 10 steps out the door and you are skiing. Loved the location of this property. It was a true ski in/ski out location near the slopes. It was perfect for our family. The owner, Richard, was just a phone call away with any questions and got right back with us. We will definitely stay here again in the future. Property management worked amazing with us. The place is truly ski in and out from the back door. Great space for all of us! Had a great time! The condo was functional and clean. Perfect location! Doesn't get any better if you prefer true ski in ski out.